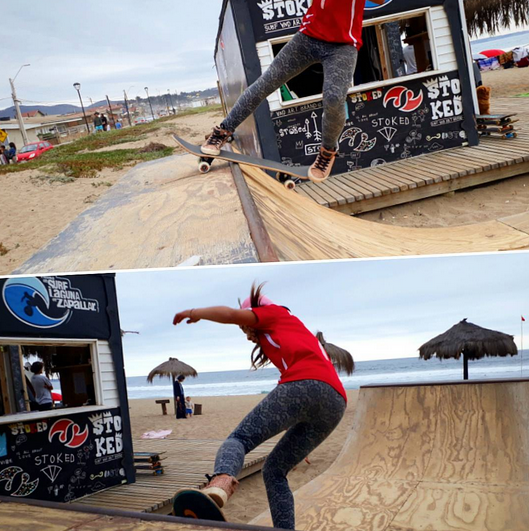 @monchi_xtreme shares this video of her first Rock & Roll. Her cheerleader is her dad. Skating is fun, skating with people who cheer you on just adds more fun. Love all these shots she shared. Where are you keeping it stylish on & off the board? 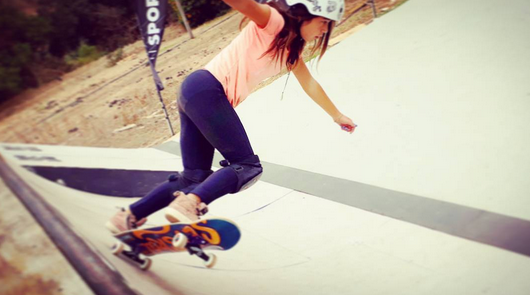 When you share your pictures & stories you’re a cheerleader to another girl to give skateboarding a try! 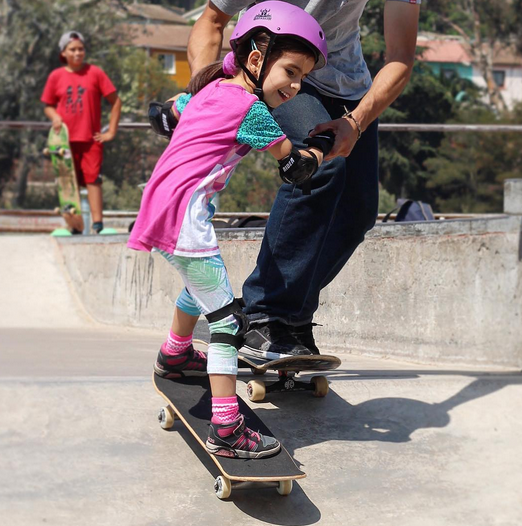 Fiorella’s skate class journey just makes me smile! 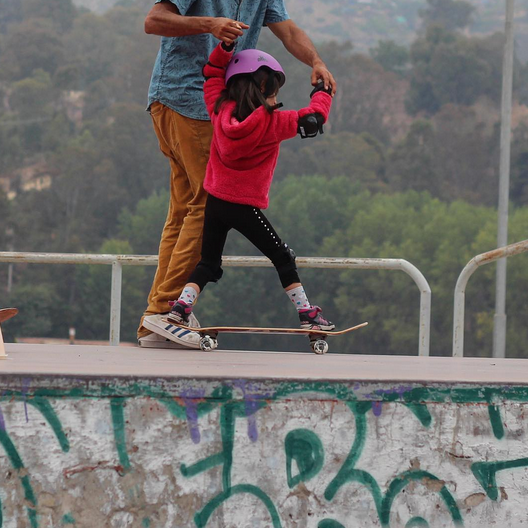 She’s 5 & in Chili. Above from lesson 8 and below lesson 9. By lesson 10 she was ready to conquer the park alone. 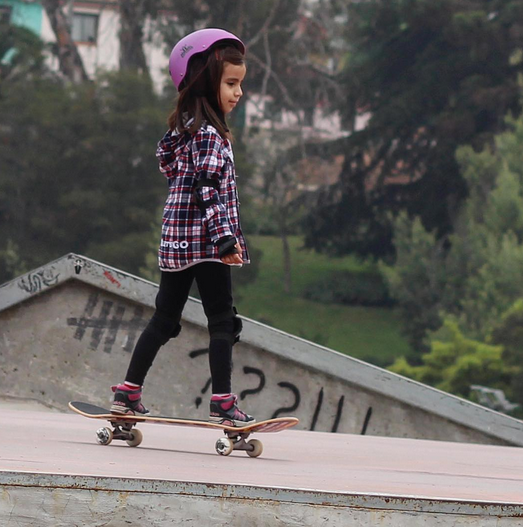 Thank you to all the girls who share their pictures & stories because more girls skate when they see girls skating. 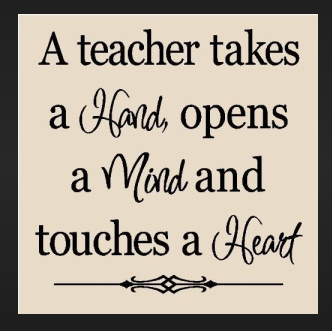 And thank you to all the teachers & skate coaches out there who teach so much more than skating – they teach self-confidence!